Caitlin is the Director of Finance at Be The Choice. 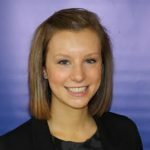 Caitlin holds CPA,CA and CIA designations and works as a Senior Consultant at KPMG. She is a graduate of the Queen’s School of Business. In her spare time, Caitlin loves to run, swim, and spend time in the sun.